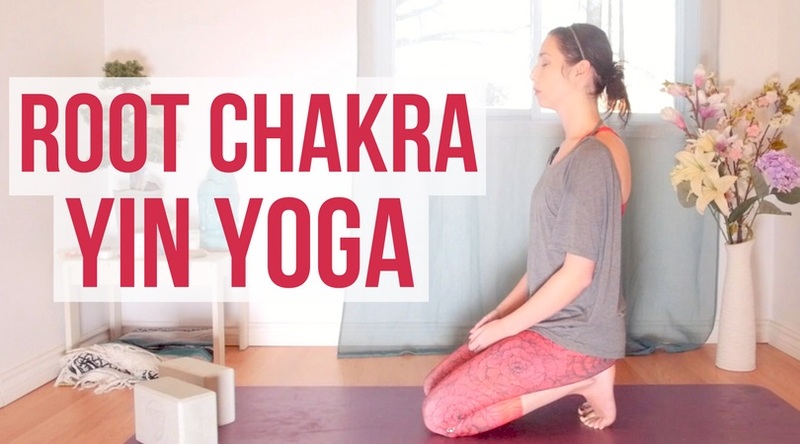 By popular demand, here's a 60 minute Yin Yoga practice specifically for the root chakra! I have two chakra yin yoga practices on my channel and you guys have asked time and time again for classes that go through the chakras one by one, so I'll be adding them over the next few weeks/months. This class will use yin yoga poses and affirmations to help you connect to this chakra and clear out any blockages you may have around it. We begin with the Root Chakra, located at the base of the spine and associated with the color red. This chakra is associated with our sense of safety, security and belonging. It deals with scarcity or abundance mindsets and relates to the first stage of infancy when we rely on our parents to care for our needs. To have a balanced root chakra means that you feel safe and confident and don't worry about "not having enough". The poses we'll be doing are targeted for the lower body such as the feet, quads and hamstrings. Have some blocks and a journal close by. very good article.. thank you for sharing ..